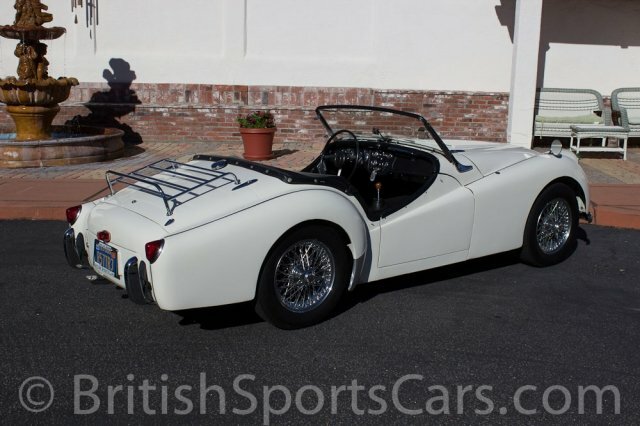 You are looking at a gorgeous Triumph TR3 that has been fully restored from the ground up. This is a rust and accident-free car that drives just as good as it looks. We have a photo album of this car during the project, showing the full frame-off restoration. Everything on this car is new or rebuilt. The paint and body are very nice, and the fit and finish is just as it should be. The interior is fully restored using high-quality leather. The car comes with a new convertible top that has never been on, new side curtains, new top frame cover, and a new tonneau cover. The car is fitted with the optional overdrive transmission which really adds to the drivability of this vehicle. I am more than happy to send additional photos to anyone who's interested, including the restoration photos. Please feel free to contact us with any questions.